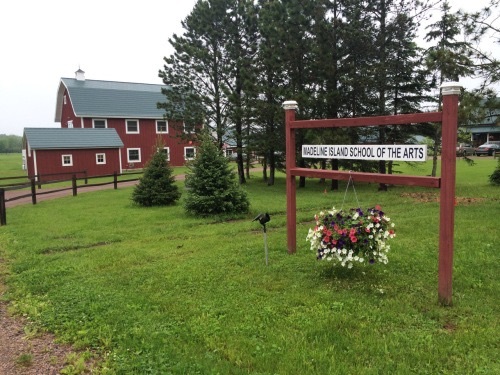 This past June, I spent five days at the Madeline Island School of the Arts on Madeline Island in Lake Superior. 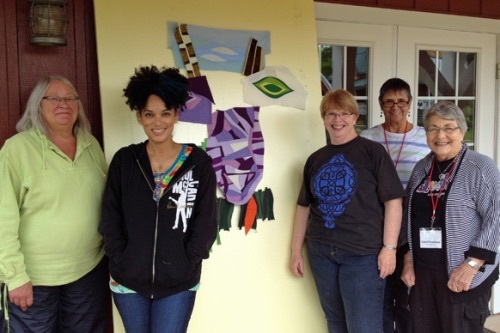 The six members of our group worked with Sheila Frampton-Cooper who is a wonderful improvisational quilter. 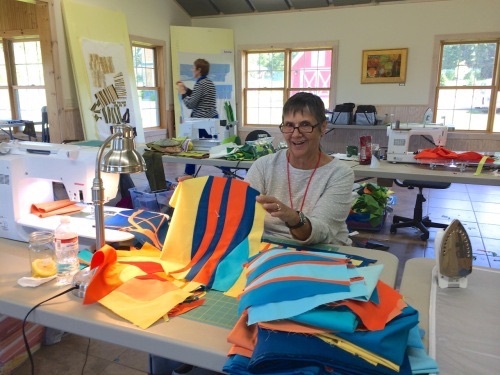 The Madeline Island School of the Arts has classes each spring through fall in painting, photography, fabric dying and quilting. I’m sure I’ve left some out. Please take a minute to look the school up on their website. 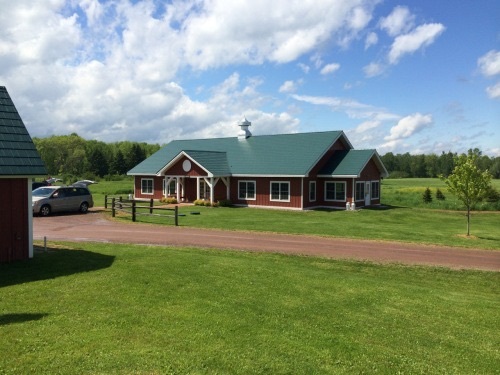 The school is in the middle of a beautiful field where you can see lots of animals including the cute family of cranes we saw walking across the grassy areas. Sheila was a painter and started making quilts for the Linus Project. 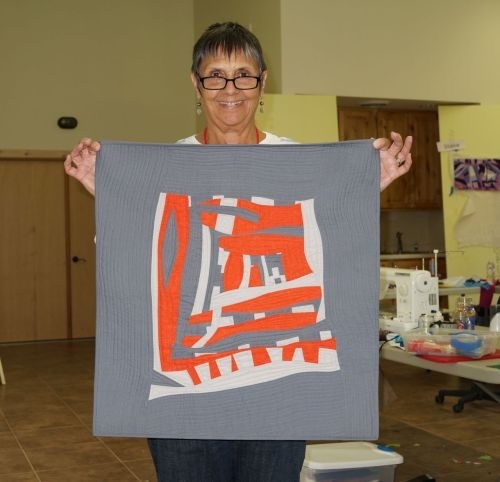 She got hooked on quilting and won awards for her first large improv quilt. Here she is with the endless chocolate chip cookie jar. One afternoon, we took a boat ride around the other islands. There are 17 I think. 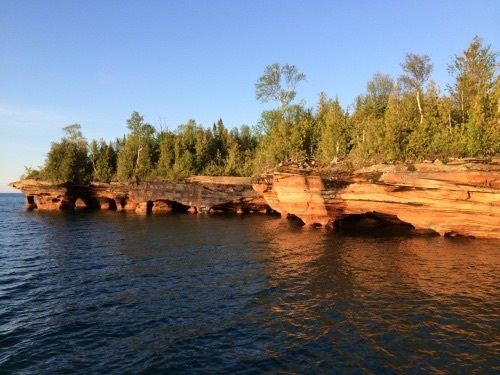 These beautiful natural caves are all around one of the islands. I had a fun time at this workshop and am planning on going back this June for a workshop with Gwen Marston! 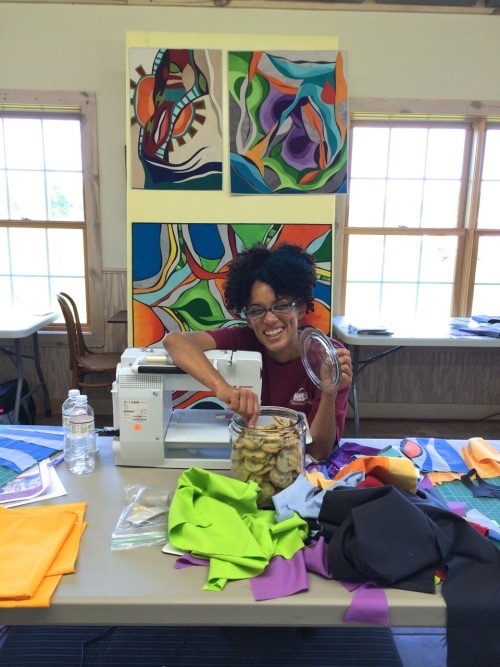 This entry was posted in Uncategorized and tagged Improvisational Piecing, Modern Quilting. Bookmark the permalink.